Unwilling to accept that their years-long attempt to synthesize a movie star out of nothing but water vapor and scowling action sequences had probably run its course, Hollywood producers announced today that Sam Worthington has been cast to star in The Titan, a new science fiction love story being directed by Lennart Ruff. “Sam Worthington was in Avatar, which millions of people saw,” executives presumably reminded themselves, even as they desperately tried to conjure a mental image of what this supposed “Sam Worthington” actually looked like. “He was also in a Terminator movie,” another piped up, brow furrowed with the effort of memory. “We wouldn’t have put him in a Terminator movie if he wasn’t a famous movie star. That just wouldn’t make sense.” If there was a note of concern in this fictitious executive’s voice, she hid it with aplomb. Ruth Wilson will star alongside Worthington, who will hopefully wear a nametag so that people don’t forget who he is between takes. Wilson is best known for her role as manipulative, seductive sociopath Alice Morgan on the British TV series Luther, as well as her current starring role on Showtime’s The Affair. Sam Worthington, meanwhile, is a wisp of gossamer on the air, gone in the quiet breath of a thought. 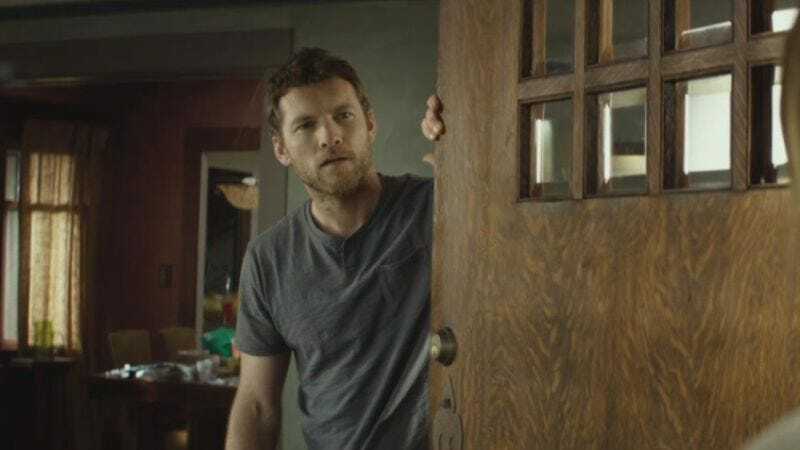 The film is being written by Max Hurwitz, who previously worked on AMC’s Hell On Wheels, and will center on “the journey of a military family who are relocated in order to take part in a ground-breaking experiment of man’s genetic evolution into space.” Sam Worthington, meanwhile, recently finished work on the religious thriller The Shack, as well as a long series of nightmares about whether he would cease to exist whenever James Cameron inevitably retires or dies.